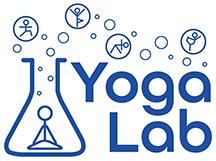 I've partnered with some amazing yoga teachers, Jeremy Engels, Kristen Boccumini, Mark Agrusti, Ariel Xu, and Theo Thwing, to open Yoga Lab, our own yoga studio in State College, PA! ​We created Yoga Lab as a supportive environment where people can gather and share in the spirit of learning, self-discovery, and continued growth. The teachers at Yoga Lab believe that a consistent, sustainable yoga practice can make us all happier, healthier, stronger, and more balanced individuals while at the same time improving the community in which we live. Together we share a common interest in anatomy and functional movement, and in combining Western science with Eastern wisdom. We are committed to teaching a sustainable yoga practice that integrates and enriches the body, mind, and soul. Our goal at Yoga Lab is to guide you in the process of self-discovery. By teaching you how to calm your mind, reduce anxiety and stress, and tap into your physical and mental strength, you will be better prepared to confront whatever challenges you face in your life, both on and off the mat. Check out the Yoga Lab website to see all of the amazing perks of becoming a member, full class schedule, and pricing. Yoga Lab also offers a 200-Hour Yoga Teacher Training Program , so if you're interested in becoming a yoga teacher or just deepening your practice, consider applying! If you are already a yoga teacher and are ready to advance your practice and elevate your teaching, check out our new 300/500-Hour Yoga Teacher Training Program! I am registered at the E-RYT 500 and YACEP levels with Yoga Alliance. I completed my first 200-hr teacher training in Lila Yoga in 2013, and my 500-hr Lila Yoga teacher training in 2014. In July 2015 I deepened my yoga studies of anatomy and body mechanics by completing a 200-hr YogaStream training with Lara Heimann. I also completed several of Lara's 500-hr modules in 2016 & 2017. Lara is a physical therapist, and her style of yoga, YogaStream, piqued my interest in injury prevention and in cultivating a safe, sustainable, lifelong yoga practice. YogaStream is a “movement-oriented, core-based yoga practice that emphasizes proper alignment, intelligent sequencing, and creative fun” (Lara Heimann, Founder, YogaStream). All of the founding teachers at Yoga Lab have trained with Lara Heimann, and she has strongly influenced our yoga practice and teaching. Two primary philosophical principles guiding my yoga practice and teaching are the yamas of ahimsa (nonharming) and satya (truth). I am interested in cultivating a safe, sustainable, and lifelong yoga practice, informed by both Eastern and Western understanding of the body and mind. My own experience with injury, my research background, and my academic nature fuels me to continue learning and updating my understanding. I enjoy reading the current literature and continuing to deepen my studies of anatomy, body mechanics, psychology, and philosophy. Yoga is not only great exercise, but also a great tool for stress management, a philosophical grounding in how to approach life, a spiritual connection, and a foundation of community. It is also a passion that I’m blessed to share with my wonderful partner in life and fellow yoga teacher, Jeremy Engels.